Cloudy with a Chance of Meatballs 2 DVD Review: Scrumptious Sequel! 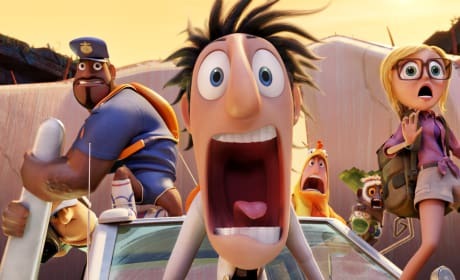 Cloudy with a Chance of Meatballs 2 could not be a more delicious sequel. 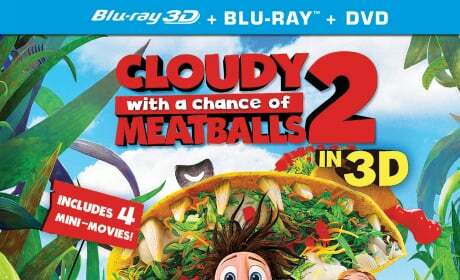 Now, Cloudy with a Chance of Meatballs 2 is out on DVD and Blu-Ray... see what we think of it! Movie Fanatic headed over to Sony Pictures Animation and got an inside scoop on the Cloudy with a Chance of Meatballs DVD and Blu-Ray release. We spoke to co-director Cody Cameron, and saw several of the never-before-seen bonus features. Cloudy with a Chance of Meatballs 2 Review: Fun with Foodimals! 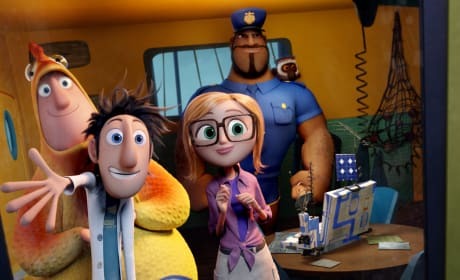 Cloudy with a Chance of Meatballs 2 brings back the gang from the first movie and ups the ante with humor and razor sharp food is funny wit. This Cloudy with a Chance of Meatballs 2 review cannot recommend enough this second helping of animated joy. Cloudy with a Chance of Meatballs 2: SNL Reunion with Bill Hader & Andy Samberg! Andy Samberg and Bill Hader had a virtual Saturday Night Live reunion when we caught up with them to chat Cloudy with a Chance of Meatballs 2. Hader and Samberg's comedic chemistry was still in full force. Cody Cameron and Kris Pearn tell Movie Fanatic about making Cloudy with a Chance of Meatballs 2. So, what foodimals didn't make the cut? Cloudy with a Chance of Meatballs 2 has released two new photos featuring the characters voiced by Bill Hader and Anna Faris. 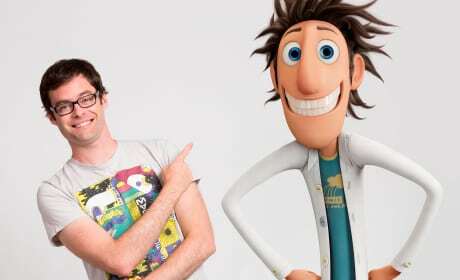 Hader is Flint and Farris is Sam, as the two reunite in the sequel to Cloudy with a Chance of Meatballs. 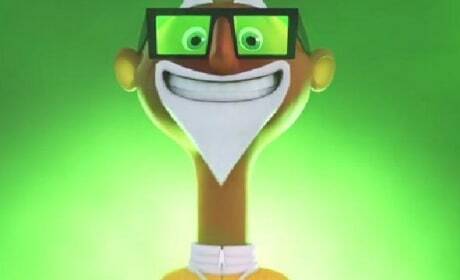 Cloudy with a Chance of Meatballs 2 Clip: Will Forte is Chester V! 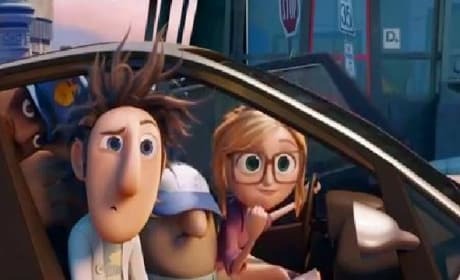 Cloudy with a Chance of Meatballs 2 has released a clip starring Will Forte that will perfectly set the table for his scene-stealing turn. Sure, Bill Hader and Anna Faris are back, but it is Forte's Chester V who brings the most laughs. Cloudy with a Chance of Meatballs 2 Clip: Meet Barry! 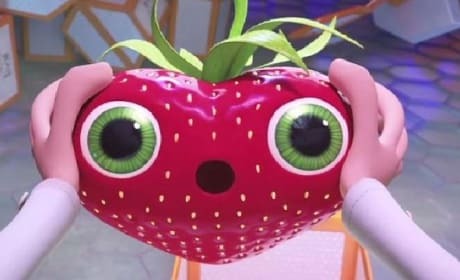 Cloudy with a Chance of Meatballs 2 has released a new clip introducing the world to the cuddly strawberry known as Barry. Anna Faris and Bill Hader are back in the sequel to Cloudy with a Chance of Meatballs. Cloudy with a Chance of Meatballs 2 Clip: Meet the Foodimals! 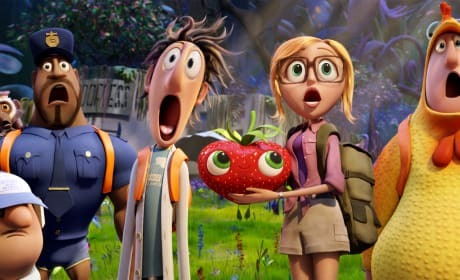 Meet the Foodimals in a new clip from Cloudy with a Chance of Meatballs 2. The food that Flint (Bill Hader) created in Cloudy with a Chance of Meatballs has evolved! 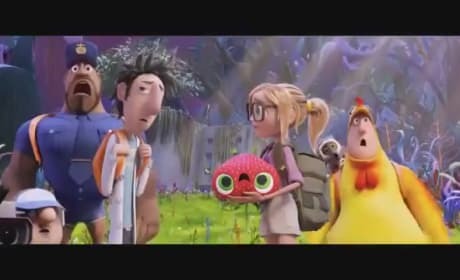 Cloudy with a Chance of Meatballs 2 has released its first clip. In the Cloudy 2 clip, we see Anna Faris' Sam and Bill Hader's Flint recruiting the gang from the first movie to head home to save their home. 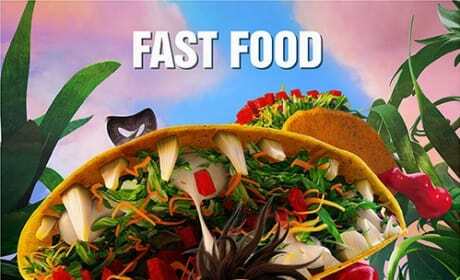 Cloudy with a Chance of Meatballs 2 Posters: Fast Food! Cloudy with a Chance of Meatballs 2 has released six new posters, with each scarier than the previous. Anna Faris returns, as do Bill Hader and James Caan. Cloudy with a Chance of Meatballs 2 stars Bill Hader, Anna Faris and Benjamin Bratt preview their sequel. Hader, Faris and Bratt dish what to expect when the food attacks again. Cloudy with a Chance of Meatballs 2 continues the misadventures of inventor Flint Lookwood (Bill Hader). This time out, the machine he created in Cloudy with a Chance of Meatballs, has spawned food that has come alive!